Jo Cox: A Political Sacrifice? Browse: Home / Jo Cox: A Political Sacrifice? The timing of Jo Cox’s ‘murder’ just days before the Brexit referendum should have swung the vote decisively. Although she had been campaigning vigorously for the Remain vote Jo Cox’s death was to be of no avail though. However, it does raise many questions. Because from the reaction of her family in the immediate aftermath of her reported death — looking for all the world like bad actors trying to simulate grief in this video — to its timing, which seemed intended to garner support for the Remain Campaign, Jo Cox’s murder has psyop written all over it. Factor in the notable absence of blood at the murder scene, where Cox was allegedly shot three times with a sawn-off shotgun and stabbed fifteen times with a large steak knife, and the official story starts to look more than a little shaky. If anything the facts raise more questions than answers. For example they don’t explain why someone like the accused should be so motivated politically to murder? When according to Thomas Mair’s half-brother, Duane St. Louis, Thomas had never expressed any political views let alone racist sentiments. Yet the court is now hearing “evidence”, submitted in the form of reading material purportedly found in his flat and Internet search records, of Mair’s violent political beliefs. The fact that this supposed “evidence” contradicts the testimony of those who have known him for decades raises the possibility that we are witnessing the show trial of a patsy. Moreover, there’s no way we can be sure that this “evidence” wasn’t fabricated. Indeed it would be crucial if a convincing case were to be made against Mair that it was. Nor is there anyway we can be certain that he wasn’t also subject to mental programming/brain-washing to convince him of his guilt. After all he was the ideal candidate. A vulnerable loner who had a history of mental illness, Mair had been on medication and receiving psychotherapy for decades. Long enough to prepare him for whatever the powers that be wanted to use him for; all of which could have been carried out under the guise of treating him for depression. A sign in a shop by the spot Jo Cox was killed states the claims that the gunman shouted “Britain First” are untrue. LBC’s reporter in Birstall Bethan Davies spoke to Ahmed Tahir, the owner, who insisted he has not spoken to anyone who heard that phrase. In fact there is good reason to doubt that Jo Cox was even murdered. After all what better way to convince the public to vote against Brexit than a staged murder? Then after a comfortable interval and a little plastic surgery with a new name and identity, the politician who proved her willingness to make the ultimate political “sacrifice”, can re-emerge to enjoy its fruits. Most politicians are political “actors” anyway; cynically adopting all sorts of postures in pursuit of political power. So why should Jo Cox be any different? Ed. The man accused of murdering British lawmaker (MP) Jo Cox in June was heard saying “this is for Britain” during an attack that was motivated by politics or ideology, a London jury was told at the opening of his trial on Monday. Thomas Mair, 53, is charged with Cox’ murder, which took place a week before Britain’s referendum on EU membership and led to the suspension of campaigning for several days. A plea of not guilty was recorded on his behalf at an earlier hearing after he stayed silent when asked to enter his plea. Cox, a 41-year-old mother of two young children, was shot and stabbed on the street in the town of Birstall, part of her electoral district in northern England, as she arrived for an advice session with local residents at a library. Mair was arrested nearby shortly after the killing. He said words to the effect of “it’s me” and described himself to police as a political activist, prosecutor Richard Whittam told London’s Old Bailey court. Police later found publications at Mair’s home about white supremacists, Nazi Germany, shootings and assassinations. He had also accessed websites on topics such as the Ku Klux Klan and the Waffen SS in the days and weeks before the killing. 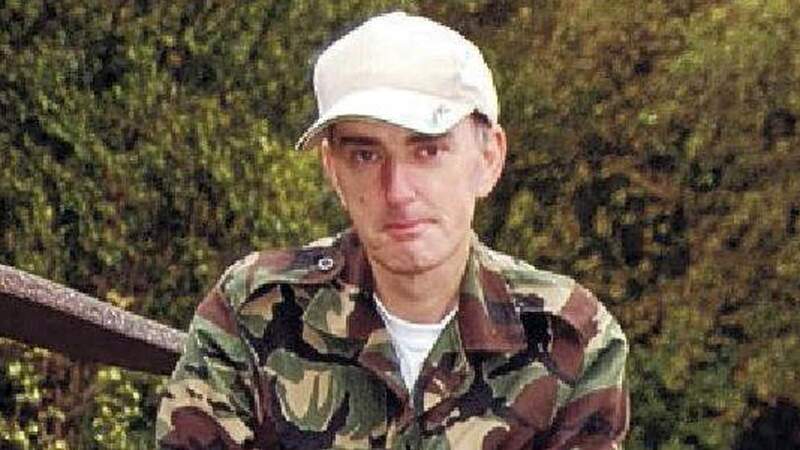 “Thomas Mair clearly held views that provided him with a motive, utterly misplaced of course, to kill. He killed her because she was an MP who did not share his views,” Whittam said, adding that Mair had researched Cox on the Internet. A former aid worker before she was elected to parliament, Cox was an ardent supporter of staying in the EU. She was shot three times and stabbed 15 times in what Whittam described as a “dynamic, fast-moving and shocking” scene. He told the court several witnesses reported hearing gun shots and seeing Mair wielding what one of them described as a large steak knife with a jagged blade. He was heard repeating the words “Britain first”. Whittam said Cox’s aide Fazila Aswat, who was with Cox at the time of the murder, had heard him say “Britain first, this is for Britain, Britain will always come first”. Whittam did not draw a direct link between the referendum and the murder, nor did he elaborate on the meaning of “Britain first” or Mair’s other words. Mair, a Birstall resident, is also charged with causing grievous bodily harm to 77-year-old Bernard Carter-Kenny, who tried to help Cox during the attack, and possession of a firearm and a dagger. 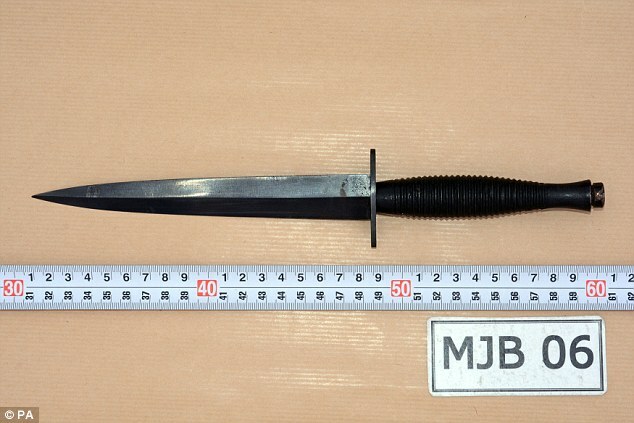 Carter-Kenny risked his own life and was stabbed with the same knife Mair used to attack Cox, Whittam said.